How cute is she! This 3pc girls Holiday Pant Set is great for this upcoming Holiday Season! Let your girl show off her festive side for the Christmas Holiday. 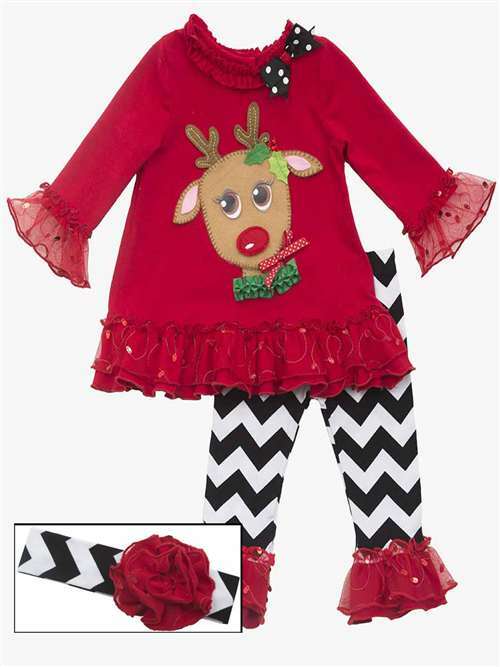 Girls Chistmas pant set features a reindeer face applique, mesh ruffle trim, black and white chevron pants. Girls chevron black and white headband complete this look!